Cichorium intybus is a short-lived perennial 30-170 cm tall, from a long taproot, sap milky, flowering stems slender, hollow, usually branched. 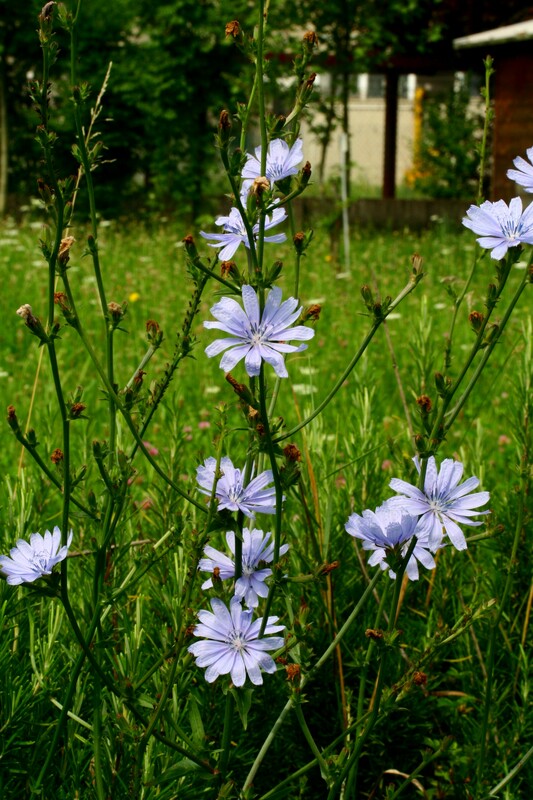 Cichorium intybus plant with leaves. By Ohio State Weed Lab. Copyright © 2018 CC BY-NC 3.0. Bugwood. www.bugwood.org (Accessed 1/2018). 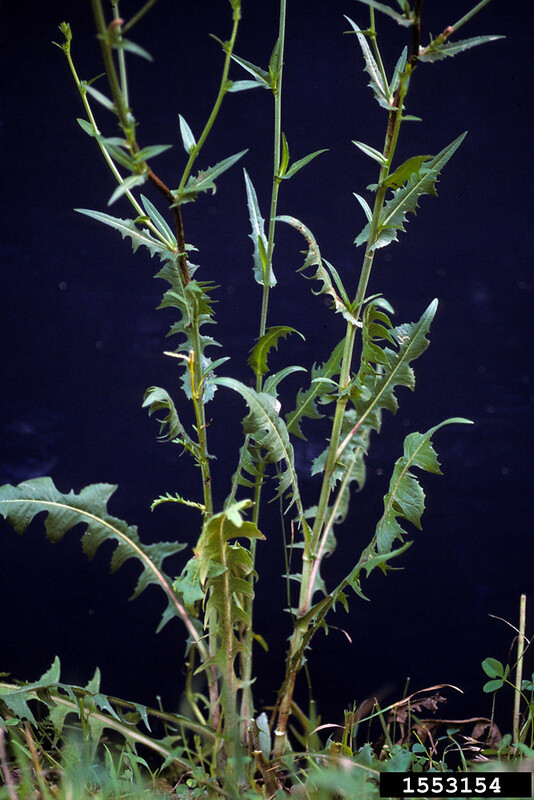 Leaves alternate, pinnately divided, those of winter rosette much like dandelion leaves, stalked, blade 8-25 cm long, 1-7 cm wide, somewhat rough textured and hairy, widest above the middle, stem leaves stalkless, becoming reduced upwards, margin toothed or entire, usually deciduous before flowering. Flowers all rays, blue, about 2.5 cm in heads to 4 cm wide, showy, 1-3 in axils of very small upper leaves, visited by bees and some flies (Mulligan and Kevan 1973), June-Oct.
Fruit dry, 1-seeded achenes 0.2-0.3 cm long, in persistent bracts of old flower heads. Habitat: Open areas, along roadsides, in curbs, blooms and fruits late summer and fall. Apparently does best on calcareous soils, pH 6-7.5 (USDA 2006; Uva et al. 1997).